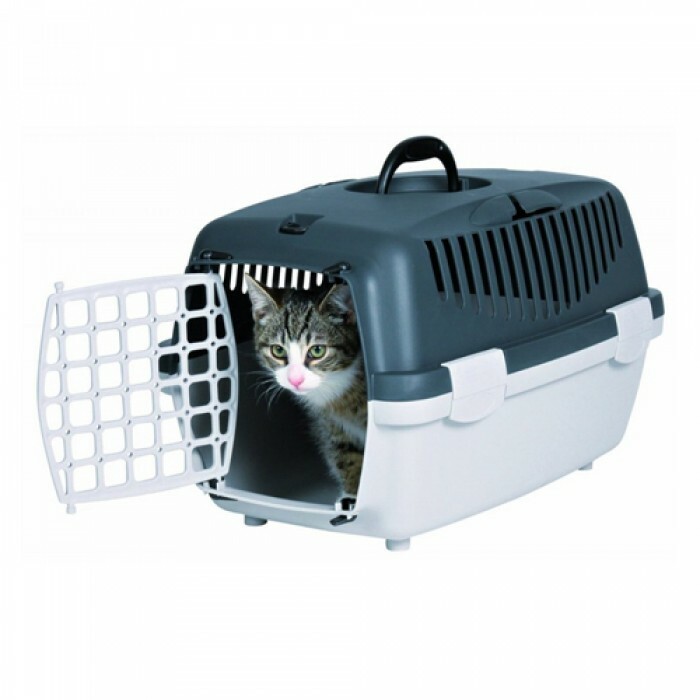 Product Details-Extra safety on long and short journeys due to its lockable snap clips,Includes handle for pulling the carrier, It can be opened at the top and front,Ventilation slits provide a good air circulation, Suitable for cats and small dogs, Colour-Dark Gray. Product Description-This hard-shell pet carrier by Trixie will keep your pet safe while being transported. Comes with a handle on top and a slit for car seat belts which makes the transport more secure.The carrier is dark enough to offer the comforts of a cave-like surrounding and the air holes all around provide optimal air circulation. Perfect for cats, dogs, rabbits, and other small animals. Ideal for travelling by train, car, ship or plane.